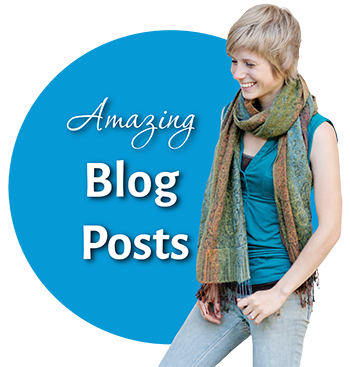 This is a guest post from a reader named Rachel – it’s a perfect follow up post to Friday’s entry about my new found love for www.myyogaonline.com. This article is about how and why yoga can help you improve your life and clear your skin, like it has done for Rachel. 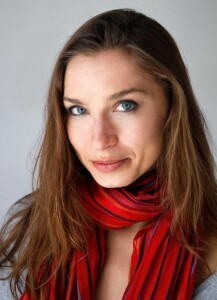 Rachel is a yoga instructor, photographer, and sometimes writer. You can find her at her blog HOWLYA, and her website www.rachelwolfe.com. Life can get pretty bumpy sometimes, and if it’s your skin that’s feeling less than smooth that can create at least a few ripples on its own. The thing about our faces is they’re the first things people see and make judgments upon, and our culture makes us keenly aware of this exaggerated state. I’ve come to admit I have developed unrealistic ideas about how skin should look just growing up with the airbrushed imagery all around me, and I’m not even directly digesting the magazines, movies and mainstream television. I can hardly imagine the stringent standards I’d have to undo if I did. When not behind a camera, a lot of my attention has been directed towards Yoga over the past twelve or thirteen years. Yoga, like other Eastern practices, is based on the understandings of energy and alignment. These principles are incredibly attractive to someone like me who tends to be perfectionist and idealistic. My tendency towards over conceptualization has been great for making art, but has led to a slew of, shall we say, “interesting” experiences, including anxiety and skin disruptions. The thing about striving for perfection and experiencing skin issues including dry spots, oily patches and outbreaks of acne is the condition tends to seem worse than it is, and by drawing more attention to the condition, it persists and even worsens. That is where the teachings of Yoga come quite in handy. These also may sound incredibly similar to The Law of Attraction. That is, whatever you spend the majority of your time thinking about, the more of that you create. Growing up I had perfect skin. I never understood the woes of my peers experiencing teenage hormonal acne. It wasn’t until a barrage of stress entered my life in my early 20’s that my obsession with perfect skin began. 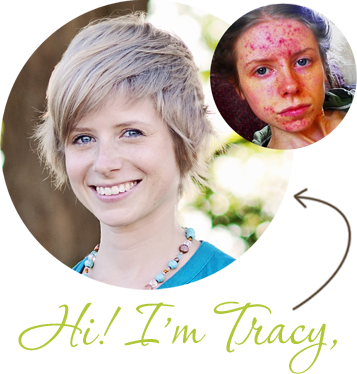 I developed periodic and painful cystic acne. Once one breakout would clear and hear another would develop. Being oriented in the holistic manner, I never sought prescriptions and am grateful for that. However, I did invest way more time and money than I care to admit on creams, research and the like. It was only once I began to draw myself deeper inward, into my Yoga practice did I notice a drastic improvement of my skin. The thing about the Yoga was, there was no money involved. Granted, I have received periodic and wonderful training from teachers in my life. These teacher guided me in developing a personal practice that is my place of peace and security to this day. The more I tend to Pranayama (breathing exercises), Dhyana (meditation) and Asana (the physical postures of Yoga as we know them today), the more radiant my skin becomes. The thing is, the more I practice and share Yoga, the less I care about what my skin looks like, and the more I care about what I feel like. The feeling of smooth. It is an amazing feeling to harbor. We’re all born with great skin. Ok, maybe some of us had some rashes or what not, but for the most part-we are all born perfect. Yoga reminds us that state of perfection is still there. It may just be under layers and layers of thought patterns and belief systems. We’re not here to worry about having perfect skin, the right clothes, tech gadgets or anything like that. All of that, is what is considered form, or Maya (illusion). 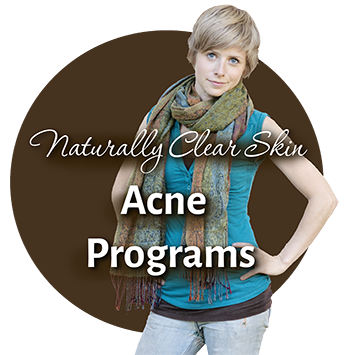 On a metaphysical level, that’s pretty easy to grasp, but when the physical takes form in the deep emotional and physiological manner acne has a tendency to root from, it can be pretty hard to handle. We get led into believing we need to buy something to put on or fix ourselves. Doing so, gives us a sense of control, but it also distracts us from the real work that needs to be done. This is why Yoga is so wonderful; it organizes your physiology and psychology for you. That’s what it’s designed to do – to do the hard, intangible, energetic work for you – the work that has everyone running to the drug store for cream, the doctor for medicine, or the Internet fretting for a more holistic and natural solution. The way of Yoga leaves less need for figuring things out, and makes way for more being, doing and loving life and yourself-which is exactly what we are here to do. Practicing Yoga is an investment in your highest good. This highest good can often appear and live through you when you recognize, acknowledge and act on that quiet voice in the back of your head. This voice can be described as your “authentic self” or “divine nature.” However you feel most comfortable speaking about this connection, is up to you, but the results of maintaining such a connection are undeniable. The more Yoga and meditation become a part of your daily life, like bathing, eating, sleep and regular exercise, the more integrated and whole you become as a person on physical and metaphysical levels. When we become more whole, life just gets really smooth – including your skin. If a smooth and easy way of life is something that seems desirous to you, simply ask the Universe to guide you in a way most beneficial to yourself. You need not worry about the cost of classes or any of the “how.” Focusing on the “how” keeps you locked in the energy of your current form, and seeing that if you have acne, that might be something you are seeking to change. Simply ask with good faith an answer will appear and your teacher will appear, an affordable class, a good friend or maybe an article like this will be all that you need to reach out to make a connection you’ve been wanting to make in your life. However your “guru” appears to you, rest assure if they truly want to help you-they are going to empower you with the tools to help yourself. If you encounter someone or something that requires you stay hooked for years on end (and this includes creams, pills or herbs or anything external to what is contained within you), then you have probably encountered a “false guru.” After all, the real guru in your life is you and those nearest and dearest to you. The others that come along are like catapults careening you to the next level that you can sense is there, but don’t know quite how to let yourself go there. Thanks for reading. May you be well, happy, peaceful and prosperous. In my efforts to begin seriously working on my emotional health, I’ve decided to start trying to do yoga again on a daily basis. The problem with staying committed is not that I don’t like yoga – I do like yoga. Not only is it meditative and good for peace of mind, it also gets your body moving, your chi flowing, and your organs working efficiently. I think it is an incredibly good addition to your life, and can really help in making your skin glow. But I get bored of things quickly. I began yoga by learning a bunch of poses out of an old book from the 60’s called… well… I can’t even remember anymore because I lent it to a friend and never got it back. It had three different half hour routines, which I quite enjoyed. I stuck with alternating between the three for many months. But then it got a bit boring and I slacked off. So then I downloaded a yoga app for my Mac called Pocket Yoga which has several different animated routines that you can follow along with. That was pretty good, but again, it got boring and the lady’s automated robot voice began driving me crazy. Then, last week, I discovered My Yoga Online and I’m hooked! It’s an online site that lets you access hundreds of full length video yoga classes by tons of different (real live) instructors. You can search for videos that suit you via queries like length of video, level of experience, type of yoga, and a bunch of other things so that you can always find something that suits your time frame, level of experience, and mood. The best part about it though, in my opinion, is that because there’s so many different videos, you can do a completely different class every single day. So you can’t really get bored if you’re constantly switching up your routine. Unfortunately it’s not free though – it does cost $10 a month. But if you consider how much the monthly fee for joining a fitness studio or yoga ashram is, or the cost of individual yoga classes (anywhere from 5 to 20 dollars a class) – $10 a month for unlimited classes really is pennies. And you don’t have to waste any gas or time leaving your house to go do it! And My Yoga Online doesn’t lock you into any contract either – you can cancel your membership easily whenever you want. Anyway – I just wanted to share that with you, because I’ve been really enjoying it. It’s been inspiring me so much that one time, I even did yoga twice in one day! That’s pretty much unheard of for me. Oh – also, I guess I should mention this – if you’ve never done yoga before in your life, I’d recommend going to their site first and clicking on the “poses” tab and practicing some of the poses first. Sometimes the classes can be difficult to keep up with for a first timer (not like it matters though – no one’s watching!) And when you do graduate to the videos, start with beginner videos and work your way up! Yoga can be a lot more physically demanding than you think it is.